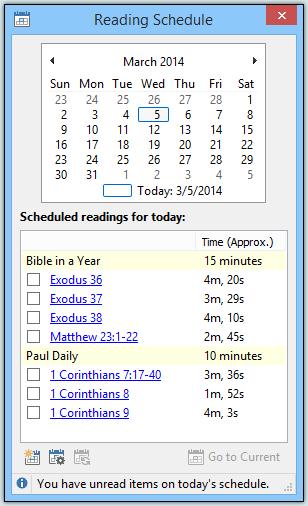 SwordSearcher includes a powerful daily Bible reading schedule system. You can have as many active reading plans as you want, and SwordSearcher will help you stay on-track with your daily Bible reading commitment. The reading schedule functions of SwordSearcher prominently feature estimated reading times and use them for calculating plans. 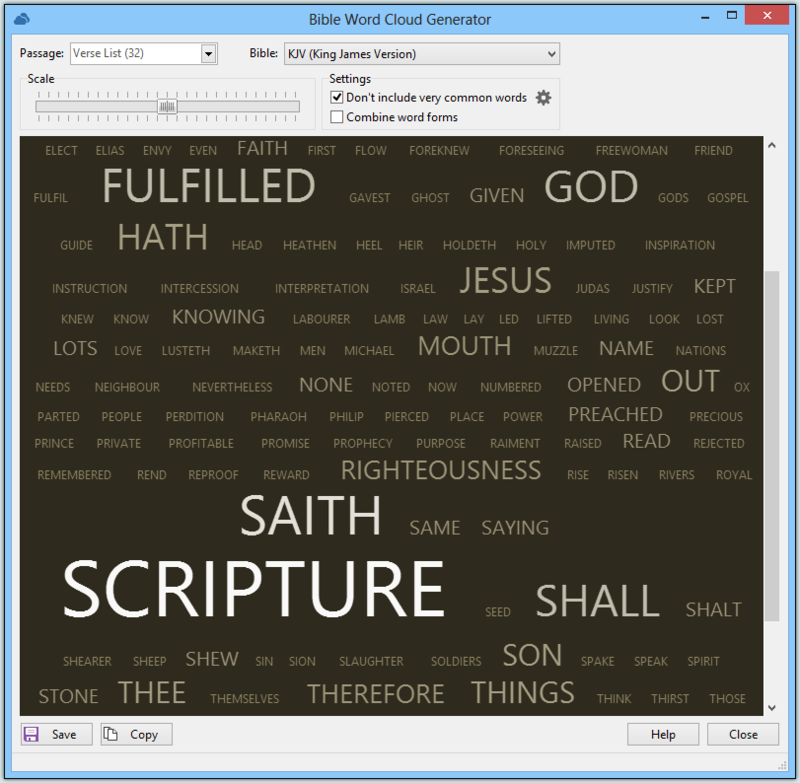 This is far more useful than dividing readings only by verses or chapters. Also, including the reading time in the calendar makes finding the right time to sit down for your daily readings much easier, since you have a very good idea of how long it will take. Falling behind on your schedule doesn't mean giving up! SwordSearcher can instantly reschedule your plans if catching up would be too difficult. Custom reading plans are flexible. Want to read Acts by Friday? Or how about the five books of Moses before the end of next month? Or do you want to spend 5 minutes reading from the Gospels every day? Easy! Let SwordSearcher help you design a custom reading plan to suit your needs.